A few months after closing his own agency, Matthew Bull is taking a job with mcgarrybowen as chief creative officer of the agency's New York office. Bull will begin next month after spending the past four years at The Bull-White House, an agency he founded in 2011 and ran until ending it in July. Before that, he held a number of leadership roles including chief creative officer of Lowe & Partners Worldwide in New York. Brands he's worked with include AB InBev's Stella Artois, Unilever's Axe, HSBC and Microsoft. 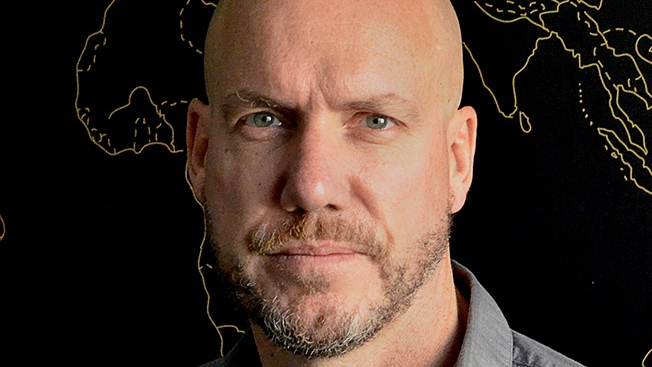 "In both his work as an award-winning creative leader and entrepreneur partnering with some of the world's most respected marketers, Matthew has proven himself to be a powerful, inspiring and transformative change agent," mcgarrybowen New York President and Chief Client Officer Simon Pearce told Adweek. "I am incredibly thrilled to partner with him as we work on creating our next chapter of success at mcgarrybowen New York." Bull will replace Mark Koelfgen, who is leaving mcgarrybowen after a 10-year tenure to "pursue new opportunities," per an agency statement annoucning Bull's appointment. The agency wouldn't elaborate on the departure, but the announcement did include a quote from Koelfgen saying he is "eternally grateful" for his time at the agency. "Matthew brings a wealth of diverse client and category experience to mcgarrybowen," said Gordon Bowen, mcgarrybowen's founder and chief creative officer. "His track record of success in working with some of the world's biggest icons will prove instrumental as we partner with our clients to drive top-of-the-line, innovative business results." In an interview with Adweek this summer, Bull explained some of his reasoning for closing The Bull-White House. He said he loved the people he worked with, but felt the agency wasn't producing work that he "thought was magical." However, he said he wanted to shift to a role as creative consultant, rather than joining another agency in another chief creative officer role. In the announcement of his new chief creative officer role at mcgarrybowen, Bull said he's admired the agency's "strategic and creative prowess." "This is a philosophy I took to heart even when building my own agency, The Bull-White House, and the power of the 'big, organizing idea' will be even more important as the marketing landscape continues to rapidly evolve," he said.